You are currently browsing the archives for the RNC category. Did Dems lose suburban women? There’s no denying the fact that last week’s Kavanaugh hearing were a watershed moment in modern political history. Last night, Sean Hannity correctly told Karin Housley that it was a “game-changing moment.” This article goes into detail about suburban women’s reaction to the hearing. 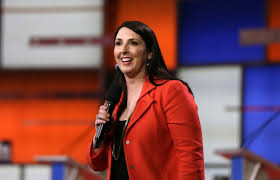 Ronna McDaniel’s op-ed is today’s must reading for people that’ve written off the GOP majority in the House. Personally, I’ve written more than a couple posts expressing my disbelief in that ‘conventional wisdom’. Let’s be clear abut this. Historically speaking, this should be a difficult year for Republicans. President Trump’s approval rating isn’t that high. Democrats are definitely energized. That being said, Republicans are energized, too. We’ve got some great candidates running in the Senate. There’s a backlash against sanctuary city/state laws started in California. While Democrats will hold the governor’s chair in California, don’t be surprised if Republicans do much better than expected in California’s congressional races. This is the nuts-and-bolts part of campaigns that consultants rarely talk about but that makes huge differences in tight races. Don’t be surprised if the RNC’s ground game makes the difference between the GOP losing5-10 seats and Republicans breaking even in the House. To ensure we defy history, the Republican National Committee is investing $250 million in our midterm election strategy. This is the largest ground game investment we’ve ever made in any cycle. Our field teams are recruiting new and enthusiastic volunteers for our Republican Leadership Initiative program, a competitive six-week program that trains the next generation of Republican grassroots leaders. These leadership fellows are our on the ground, helping us expand our party’s engagement in communities across the country. To date, we’ve trained over 13,000 leadership fellows this cycle, far surpassing records we set even during presidential years, and we’ve made over 15 million voter contacts. These numbers speak for themselves, and it’s our permanent infrastructure that has enabled us to capitalize on excitement for President Trump and the Republican Party’s agenda. 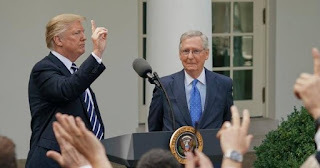 The other component that Republicans have going for them that the Democrats don’t is the fact that Republicans have an appealing message and a list of accomplishments. Because the Democrats spent all their time resisting, they don’t have any accomplishments to brag about. When the campaigns begin in earnest, this election cycle will look a lot more like 2014 than anything else. Don’t think that President Trump won’t highlight the Democrats’ lack of accomplishments on the campaign trail. I’m betting the proverbial ranch that he’ll torment Democrats for voting unanimously against the now-popular Tax Cuts and Jobs Act. This won’t be fun for Democrats to endure. Americans should view the negotiations between the Trump administration and the Democrats like a hostage negotiation. After all, Sen. Schumer is holding the U.S. military, the border patrol and the CHIP program hostage. By filibustering the CR Friday night, Sen. Schumer and his shills have held hostage the paychecks for our military, border patrol and first responders. With their actions, Democrats have earned the wrath of patriots from across the political spectrum. In addition to holding these paychecks hostage, the Democrats’ filibuster has left 9,000,000 vulnerable children more vulnerable by not voting to reauthorize CHIP for the next 6 years. If you add the 2,000,000+ people serving in the military to the 9,000,000 vulnerable children, that’s quite the hostage taking. Last night, Senate Democrats shut down the United States government. They recklessly chose to jeopardize paychecks for our troops and border patrolmen to appease their far-left base. In triggering a totally unnecessary, easily avoidable shutdown, they put at stake the health insurance of nine million vulnerable children and a number of other critical programs, including veteran services and opioid treatment programs. 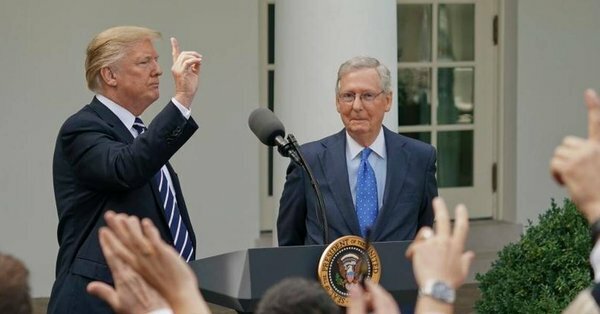 Part of the Democrats’ talking points is to say that Republicans control the White House, the House and the Senate. it’s true that they control the White House and the House of Representatives. They don’t control the Senate. Republicans did their job and offered a solution to keep the government running, but they couldn’t stop the shutdown from happening on their own. Appropriations bills require 60 Senate votes to pass. With only 51 Republican senators, this means Democratic votes are necessary to secure funding. Senate Minority Leader Chuck Schumer (D-N.Y.) and his Democratic colleagues own this shutdown. The American people are very well aware that the Schumer shutdown rests squarely on his party’s shoulders. Their hypocrisy is on full display, as the same Democrats who once warned of the consequences of a shutdown eagerly embraced it this go around. It’s worth noting that Republicans hold a majority in the Senate, which is useful in determining which bills get committee hearings. That simple majority is meaningless, though, when attempting to pass simple funding bills. Democrats have used the filibuster to insist that President Trump sign a bill that includes amnesty for 700,000 illegal immigrants and millions of their relatives through chain migration. Fighting to protect illegal immigrants while not protecting vulnerable children is what despots do. The Democrats’ actions don’t rise to the level of what third-world dictators do but the Democrats’ actions are disgusting. Many constituents of the Democrats rely on the government-funded programs that are being handicapped by the shutdown. Sen. Debbie Stabenow (D-Mich.) put nearly 83,000 children’s health care at risk with her vote. Sen. Bob Casey (D-Penn.) did the same for more than 342,000 children, Sen. Jon Tester (D-Mont.) for nearly 45,000 children, and Sen. Tim Kaine (D-Va.) for 66,000 children. Their constituents are going to demand answers. None of my colleagues on the other side of the aisle can point to a single thing in it that they oppose. That is why a bipartisan majority voted for it last night. It would have passed smoothly and been sent on for the president’s signature. Except that the Democratic Leader took the extraordinary step of filibustering this bipartisan bill and initiating his very own government shutdown. If Democrats want to continue filibustering this funding bill, they have that right. Senate rules permit it. Just because it’s legal doesn’t mean it’s smart, though. Democrats shouldn’t think that this isn’t turning off independents. Democrats shouldn’t think that this isn’t firing up the GOP base. The Democrats’ foolish decision is doing both those things. Hell hath no fury like a bunch of voters who’ve gotten ignored by elitist Democrats who protect lawbreakers but don’t protect our troops and our most vulnerable. I wrote this article to highlight how untalented Donald Trump’s spokespeople are. The article also highlighted how dishonest Trump’s allies are. As deceptive as Barry Bennett, Katrina Pierson, David Wohl and Ed Brookover are, though, they’re amateurs compared with Roger Stone. Join us in the Forest City. We’re going to have protests, demonstrations. We will disclose the hotels and the room numbers of those delegates who are directly involved in the steal. If you’re from Pennsylvania, we’ll tell you who the culprits are. We urge you to visit their hotel and find them. It’s pretty apparent that Stone wrote this article to insist that his statements weren’t advocating violence. In fact, he’s blaming CNN for deceptively editing out something exculpatory. I’d love hearing the podcast for Mr. Molyneux’s show that day. I want to know whether that would exonerate Stone or whether it would show that he’s trying to weasel out of threatening delegates. I’m betting it’s the latter. Less than a month ago, Mr. Trump was talking trash, saying that he’d pay the legal fees for his supporters who laid a beating on protesters at his events. It was clear that Trump was a full-fledged thug, albeit a rich thug. Stone was his consigliere for the better part of twenty years. I won’t buy it that Trump kept that parasite around for his charming personality. Trump kept him on Trump’s payroll to have him do his dirty work. Trump’s schtick is getting old. Trump’s thuggishness is preventing him from closing the deal with the American people. That’s why Trump won’t be the GOP presidential nominee.